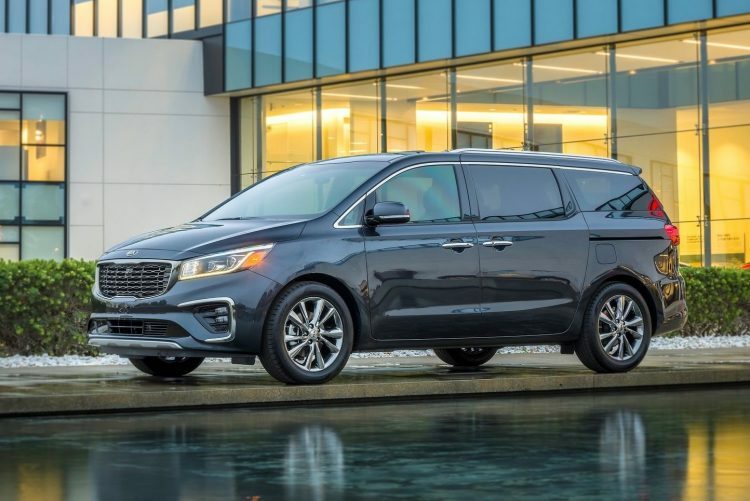 The facelifted Kia Carnival has been revealed at the New York auto show, in the form of the 2019 Kia Sedona. 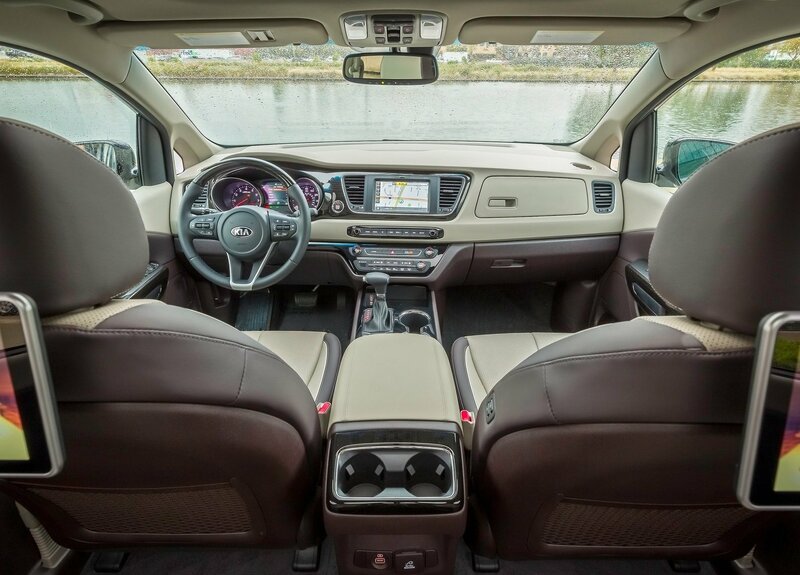 It features more safety technology, a revised look, and added convenience. Badged as the Sedona overseas, the 2019 Carnival comes in for a facelift rather than a complete overhaul. 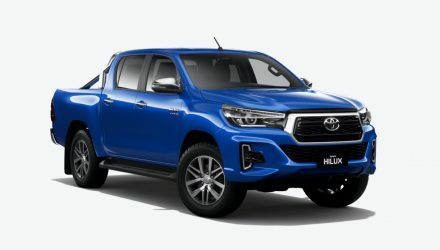 At the front you might notice the new ice-cube-style LED daytime running lights, with more modern headlights, a fresh grille, and new-look combination taillights around at the back. 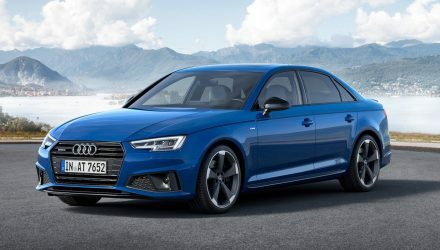 Other styling changes include a range of newly-designed alloy wheels ranging from 17 to 19 inches in size, along with some unique trimmings for the high-grade variant including skid plates, bumper highlights, and fog lights. For the interior Kia has updated the dash with new graphics for the instrument cluster, added a wireless phone charger to the centre console and a new sunglasses holder, and an electronic park brake has been applied for most variants. 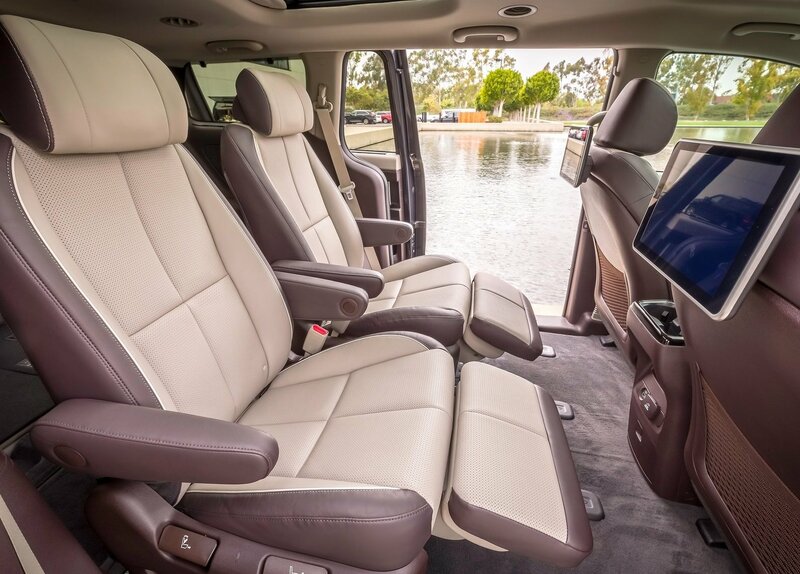 In the back, most models with electric-sliding doors are now fitted with a button on the door handle for easier operation. There’s also an optional rear seat entertainment package with 10.1-inch dual touch-screens, and a USB charge port has been added to the cargo area for added convenience. 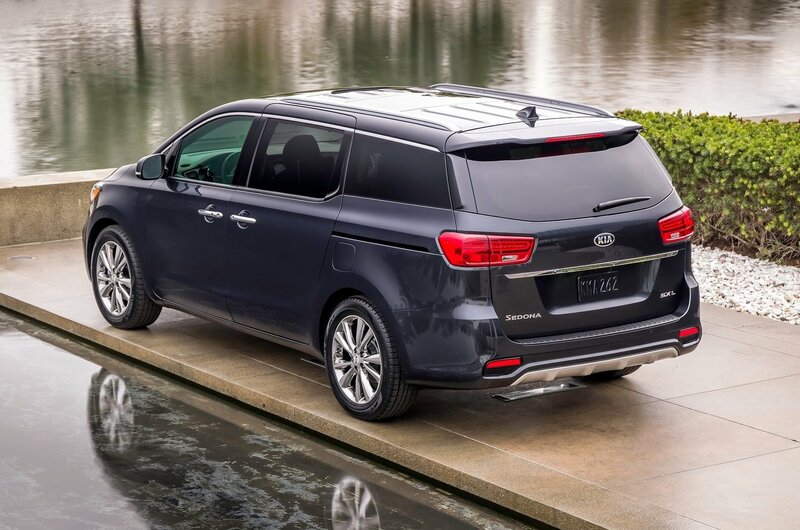 The new model also receives a boost in safety, with autonomous emergency braking, adaptive cruise control, and rear cross-traffic alert now available. Blind-spot warning and forward collision-avoidance assist is also on offer. 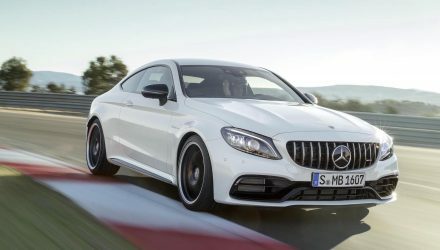 As for the hardware, the biggest change is the introduction of an eight-speed automatic for the 3.3-litre naturally aspirated V6 model. This replaces the six-speed auto currently featured. The V6 engine produces 206kW and 336Nm, while the 2.2-litre turbo-diesel is set to carry over unchanged as well, producing 147kW/440Nm. 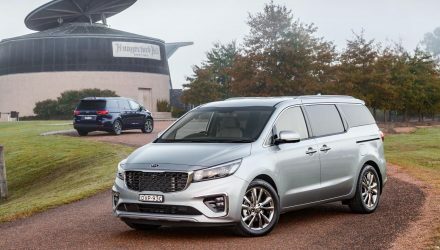 Kia Australia is yet to finalise specifications for the local version but it is expected to go on sale later this year. Prices will be announced closer to launch.